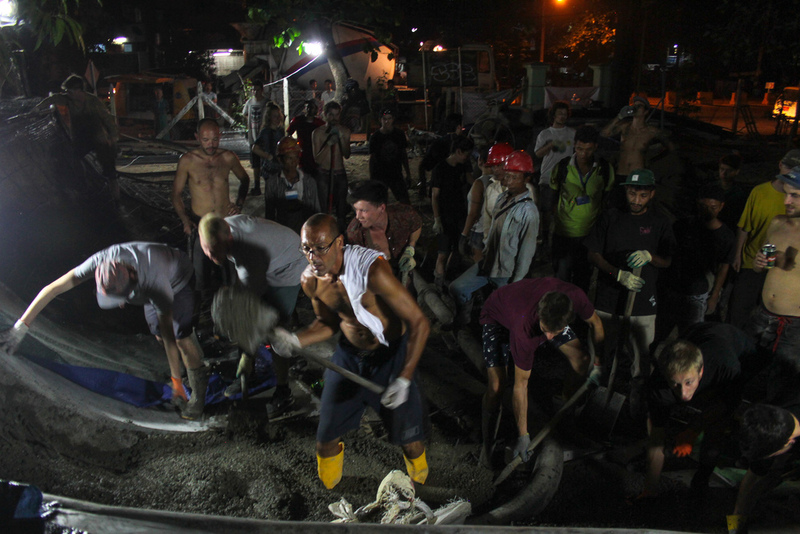 In December 2015, our team of skatepark builders constructed the 400m², free-of-charge, concrete community-built Mya Lay Yone Skatepark in Yangon, Myanmar (Burma), and worked with the local skateboard community to teach them about concrete skatepark construction. Since its completion, full-time skateboarding teachers Ko Hein and Peru managed the skatepark and established an on-site equipment loaner system to allow youth free access to skateboards, safety gear, and skate shoes, regardless of economic standing. The skatepark is filled everyday with a mix of youth just starting out and experienced skateboarders. Especially the children from the neighborhood of the skatepark, who started skating with the opening of the park, have made incredible progress. Ko Hein and Peru have done an amazing job in maintaining and managing Mya Lay Yone skatepark. 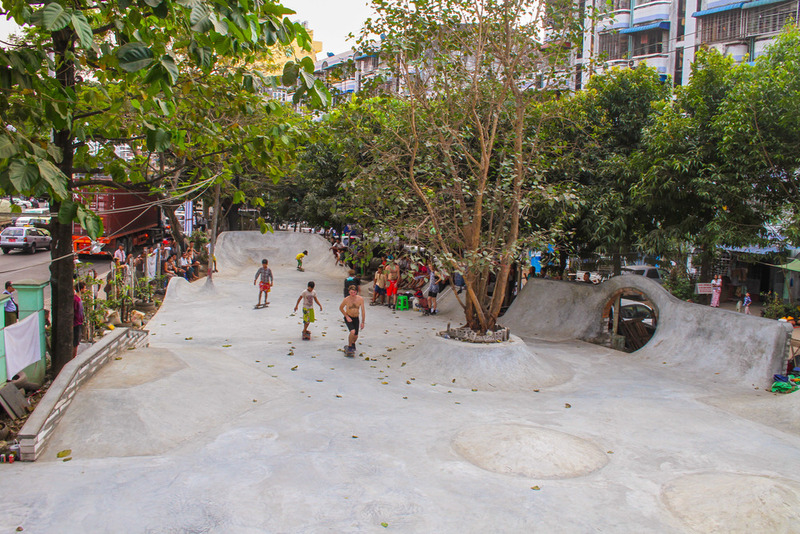 They installed benches for spectators to sit on, fixed holes in the concrete, provided lighting so that the park can be used at night time, regularly organize skateboard competition through the Myanmar Skateboard Club, and maintain an overall sense of order at the skatepark. Their plan is to engage more children at the park and make more skateboards available. Be sure to follow @pushingmyanmar on Facebook, Instagram, and Twitter.